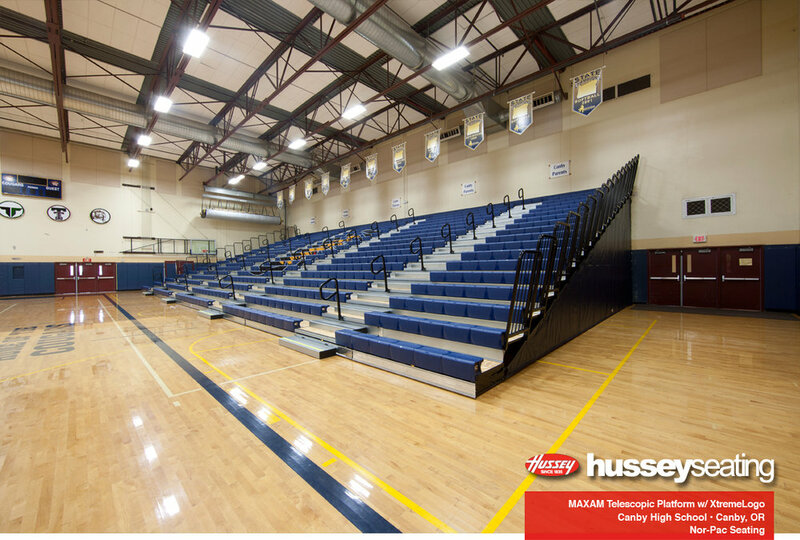 Design: Nor-Pac. 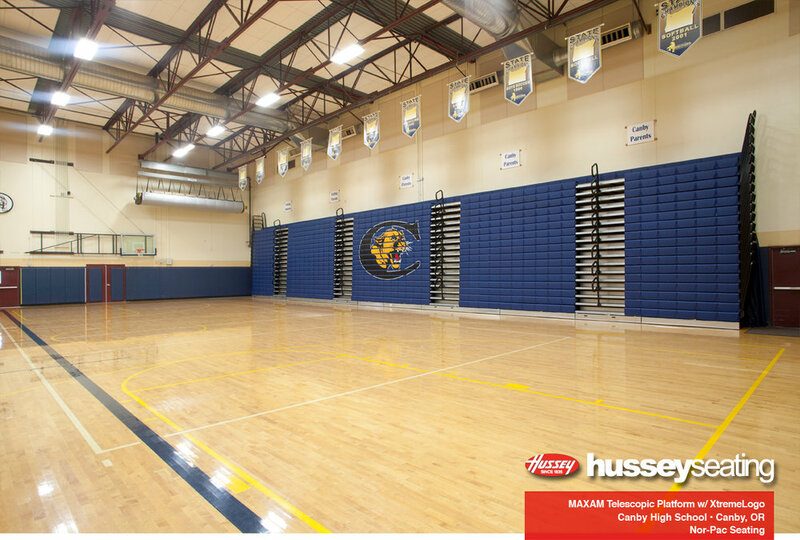 Another great XtremeLogo job! 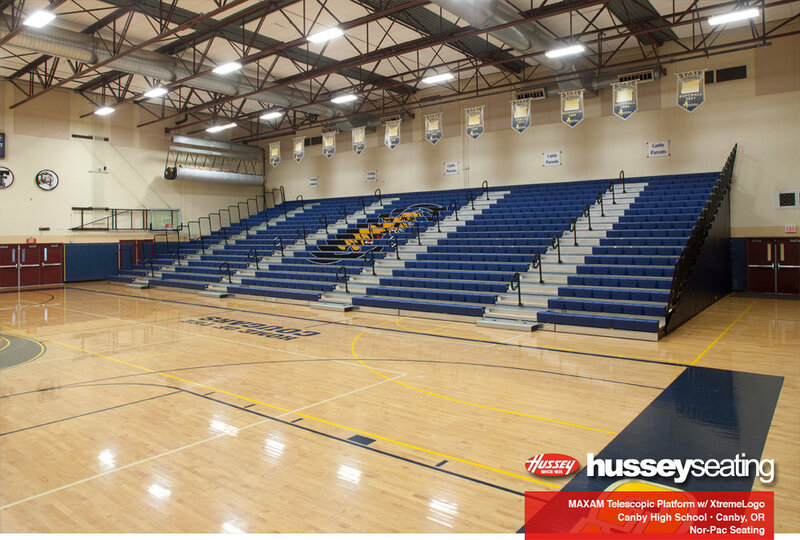 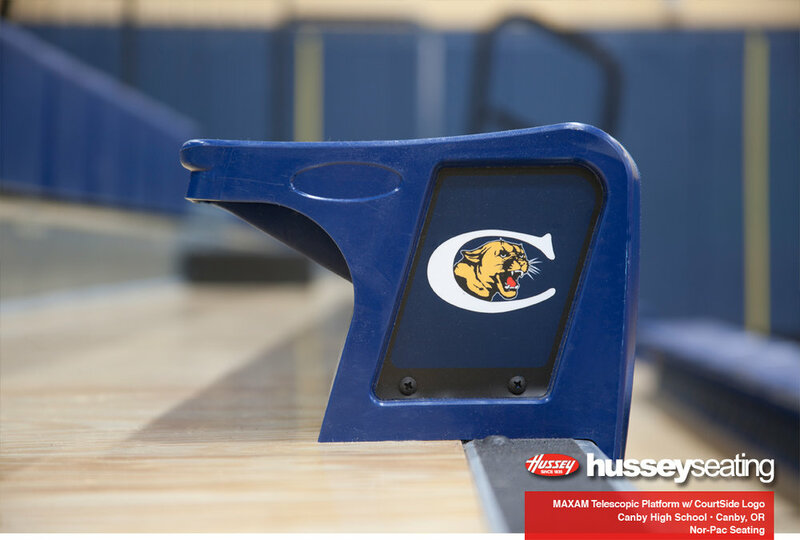 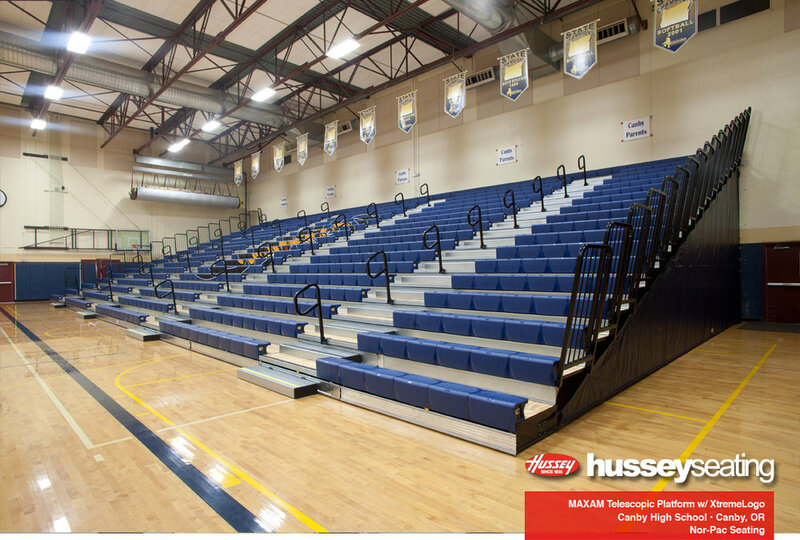 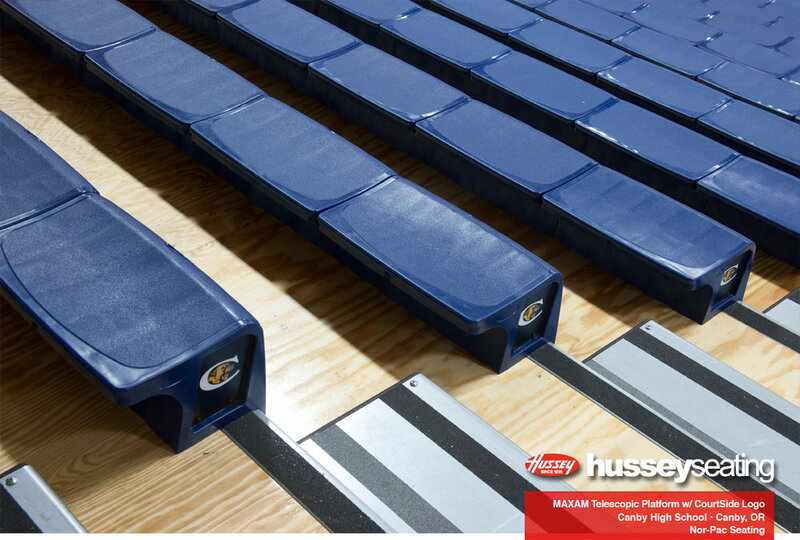 Other great features for this bleacher system include End-Curtains, Flex-Rows, CourtSide Logos, and a Media Platform.